So like I've said before, I love broccoli cheddar soup. It's honestly my favorite. 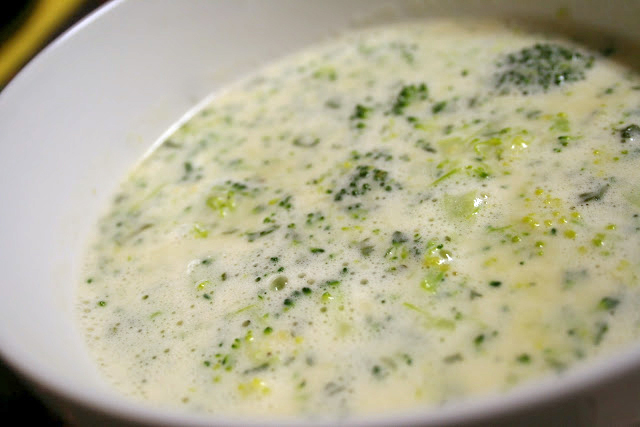 This recipe is once again from the Our Best Bites cookbook and I have to admit it beats out what was my "favorite" broccoli cheddar soup recipe. 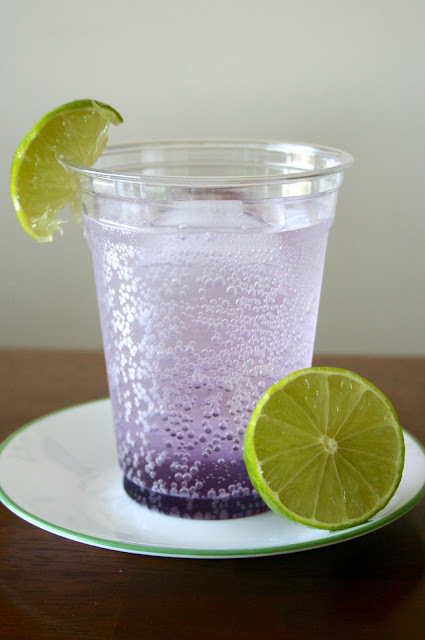 This recipe is much lighter and tastes great. Plus, I got to use my immersion blender for the first time that Jordan got me as a college graduation present last May... so I guess I've been scared of using it or something. Who knows? But now I'm addicted. 1. In a large stockpot, heat the butter over medium-high heat. When hot, add onion and garlic. Saute for 1-2 minutes. 2. Add the chicken broth and potato and bring to a boil. Cover, reduce heat and simmer for 10 minutes. Add the broccoli. Continue to simmer with the pot covered for about 5 more minutes or until both the potatoes and broccoli are tender. 3. 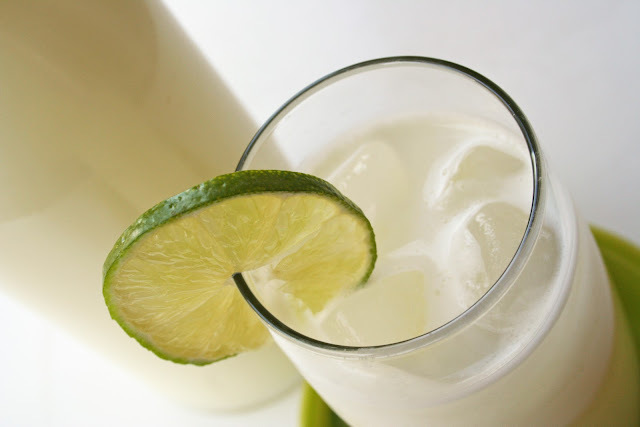 While the soup is simmering, combine cream cheese, milk and flour in a blender and process until smooth. 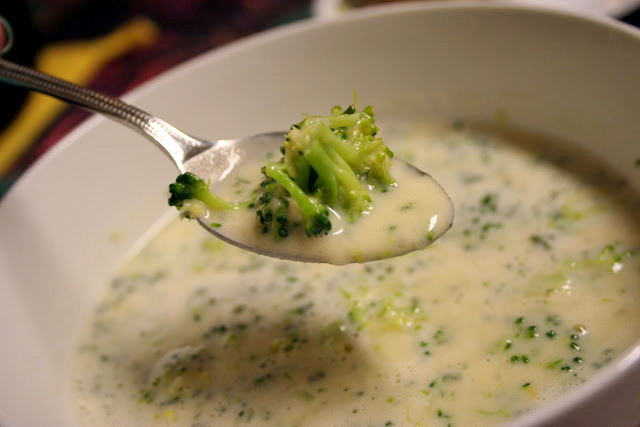 When potatoes and broccoli are tender, add the milk mixture to pot. Season with salt and pepper.